This programme has been developed to equip you with chick husbandry skills and focusses on penguin chicks from 1.5kg until they are ready to start to swim. Each intern will receive a training plan that will include an outline of the internship, with goals, action dates to complete these goals and action points to be completed over internship; this will be done with the support of the Seabird Hand-rearer who will be your mentor; and the Volunteer Coordinator. The Penguin Nursery Internship is split into two phases: basic and advanced. Week 1: The first week of the foundation phase will take place in the main rehabilitation facility; you will work in selected areas to gain an idea as to how the facility is run. Week 2-4: For the first 3 weeks in the nursery, you will work closely with the Seabird Hand-rearer. You will be trained on all aspects of the nursery to equip you to work comfortably in the nursery. Preparing chick enclosures: interns will learn how to correctly prepare the different areas in which the chicks are kept (crates and pens). Handling and feeding chicks: interns will learn the safest way to handle the chicks and different ways in which to feed chicks at different weights. Food calculations for chicks: a vital part for caring for chicks is to know how much food to prepare. Interns will learn how to calculate food quantity for different ages/weights of chicks. Food selection and preparation for chicks: interns will learn how to determine what type of food should be prepared as well as how to prepare the food. Medication: interns will gain an understanding as to what medications are used and for what purposes, as well as how to administer medication (oral) and how to update medication in accordance to weight gain, under the supervision of the Veterinarian. During the advanced phase; chick husbandry skills are refinedand the level of responsibility placed on the intern is increased. Interns will learn how to give injectable medication as well as how to give subcutaneous fluids. The intern will assist the veterinarian during weekly bird checks and will start to supervise/work independently. Depending on how busy it is, you may be working with another intern, or on your own. Should the Nursery not have any birds, you will be assisting in other areas of the rehabilitation centre. Other areas could include working with different seabirds of different ages and basic maintenance around the centre. and send it, along with your cv and motivational letter, to volunteers@sanccob.co.za. If you have any further queries or concerns, please email volunteers@sanccob.co.za. This internship has been developed to equip you with chick husbandry skills and egg management skills for a career in captive breeding or seabird chick rearing. The Seabird Chick Rearing internship is not as physically demanding as the other seabird internship programmes, however, you need to be focussed, self-motivated, compassionate, and highly observant. Be aware that the environment you will work in is quiet and solitary by nature. Each intern will receive a training plan that will include an outline of the internship, with goals and action dates to complete these goals; this will be done with the support of the Chick Rearing Supervisor who will be your mentor; and the Volunteer Coordinator. Hours of work: Mostly shift work (AM shift 05:30 am – 02:30 pm or PM shift 01:30 pm – 09:30 pm), 5 days per week (including some weekends and public holidays) Interns may also be expected to work 8:00 am to 5:30 pm* with a lunch break 1:00 pm – 2:00 pm and a short break in the morning and afternoon. *Some days may require interns to assist until 6:30 pm, so your willingness to go the extra mile during the busy times will be crucial. We look forward to welcoming you to SANCCOB. 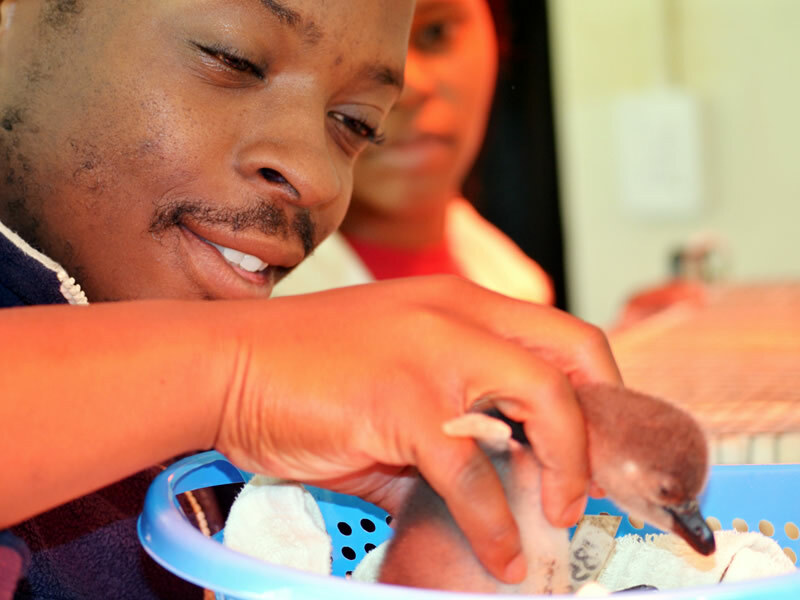 This programme has been developed to expose participants to a career in veterinary medicine. 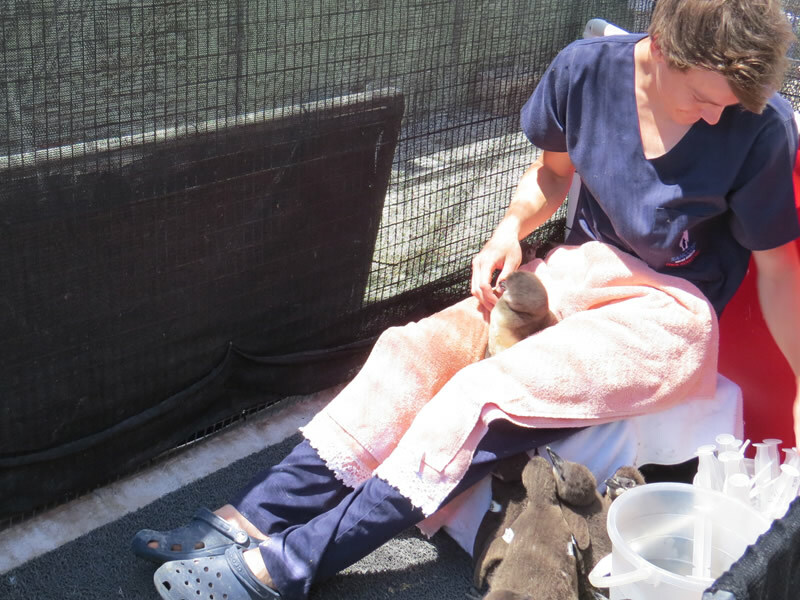 While SANCCOB is not a typical veterinary practice, participants will nonetheless benefit from the opportunity to observe the clinical veterinary work in this world renowned seabird rehabilitation centre. Participants will be required to work during normal business hours, i.e. Monday-Friday, 8am-5pm. The programme involves daily supervision and instruction from a qualified clinical veterinarian. Due to the nature of our facility, the veterinarian may on occasion engage in activities which do not constitute clinical veterinary care. During those periods participants will have access to veterinary textbooks, research papers and veterinary SOP’s for self-study. Only one participant will be accepted into the programme at any given time, to ensure the most beneficial experience for our volunteers. This programme does not accept participants from the beginning of October until the end of December each year. The degree of veterinary experience of each candidate will determine the programme available to them. International volunteers who are in their pre-clinical year of Veterinary science studies or are interested in a career or studies in veterinary science may elect to add an additional week to their volunteer package in order to participate in the veterinary science experience. Qualified veterinarians, vet nurses or technicians and students in their clinical years of study may also apply for our two week veterinary experience. two week veterinary experience. There are a maximum of four slots available per year. There are no costs applicable for local applicants of the veterinary experience. If you have any further queries or concerns, please email volunteers@sanccob.co.za. We look forward to welcoming you to SANCCOB. “The range of birds I’ve been able to work with is quite staggering. I’ve hand-reared tiny African penguin and Hartlaub gull chicks. I’ve helped to rehabilitate seabirds ranging in size from the delicate Swift Terns to massive pelicans and giant petrels. I’ve even learned to handle (and been bitten by cormorants). I’ve also had the opportunity to observe species I wouldn’t ordinarily be able to see without a trip to Antarctica, such as the Shy Albatross and the Skua. “The experience I gained was second to none and I believe this was the best possible experience I have ever gained in my career as an animal scientist. 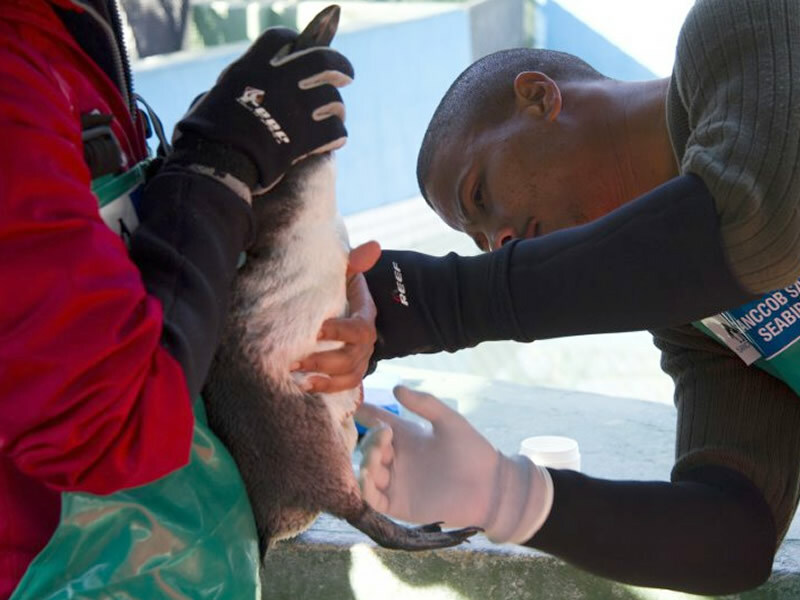 SANCCOB is a world leader in coastal bird rehabilitation and whilst there you can see why. The staff is amazing and knowledgeable, offering help and advice whilst answering any question.